I recently bought a desk that needed to be assembled, and as I opened the box an avalanche of pieces fell out on the floor. There were so many pieces that I could tell it was going to take a very long time to figure everything out. But hidden among the parts was an instruction booklet. So, I sat down and began to read. The first two pages were devoted to step one. The next pages were step two. Step three followed. As I read through the booklet I was so relieved to find out that the long process of putting the desk together was broken down into separate steps. Well, in many ways, the same kind of thing is true when we try to understand the long history of Old Testament Scriptures. There is so much information about acts and words of God, people and places, that the task can seem overwhelming. But if we take a synchronic approach, if we break its history into separate steps and concentrate on each step as we put the whole thing together, we will find that the task is much more manageable and much more beneficial. This is the second lesson in our series, Building Biblical Theology . We have entitled this lesson, "Synchronic Synthesis of the Old Testament." In this lesson we'll see how biblical theologians explore what God has revealed to his people step by step at particular times in Old Testament history. In our previous lesson, we saw that historically, Christians have used three main strategies to understand the Scriptures: literary analysis, looking at the Bible as a literary portrait designed to convey certain perspectives; thematic analysis, looking at the Bible as a mirror reflecting our contemporary or traditional topics and questions; and historical analysis, looking at the Bible as a window to the historical events that it reports. We also saw that biblical theology focuses primarily on historical analysis of the Scriptures, looking especially at the ways God was involved in historical events reported in the Bible. For this reason, we said that: "Biblical theology is theological reflection drawn from historical analysis of acts of God reported in Scripture." Biblical theology focuses on Scriptural accounts of God's activities and draws inferences for Christian theology from those events. With this review in mind, let's turn to the lesson at hand. 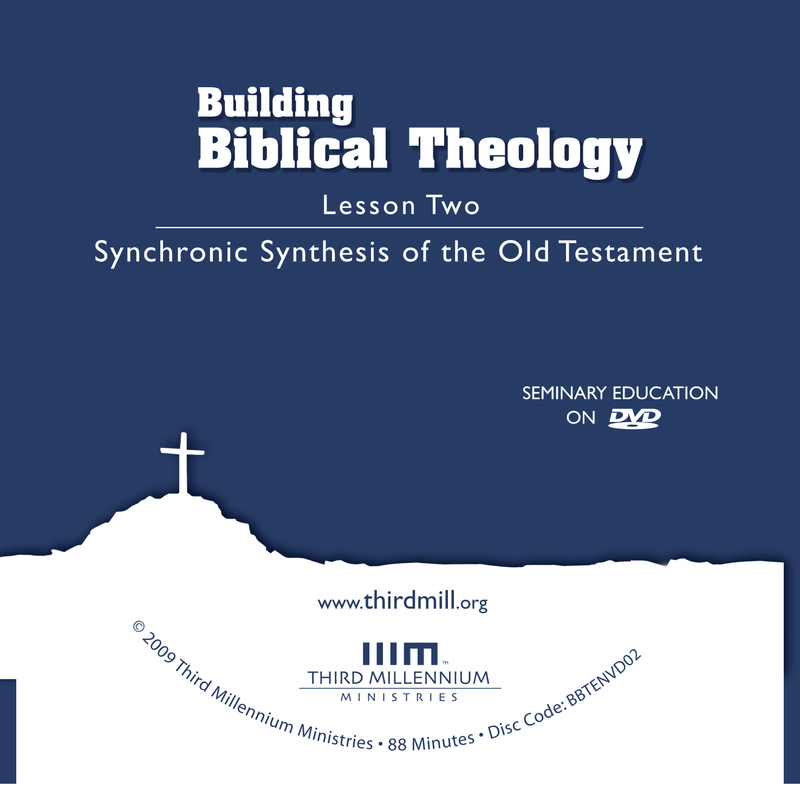 In this lesson on synchronic synthesis of the Old Testament, we'll touch on three main issues. First, we will gain a basic orientation about what "synchronic synthesis" is. Second, we'll look at the ways Old Testament passages convey the historical information used in synchronic synthesis. And third, we'll focus on the synthetic theological structures discovered through synchronic syntheses of the Old Testament historical information. Let's begin with a basic orientation to our subject. To understand what we mean by "synchronic synthesis," we'll touch on three issues. First, we'll define the term "synchronic." Second, we'll turn to the term "synthesis;" and third, we'll illustrate and legitimate what we have in mind with an example from the Scriptures. Let's begin with the meaning of the term "synchronic." The word "synchronic" derives from two Greek words: the preposition sun which means "with" or "together with," and the noun chronos which means "time." When the word synchronic is applied to historical events, it describes occurrences that took place "together in time," or "at the same time." We will use the term synchronic to indicate how biblical theologians often explore sets of events in Old Testament history that happened at the same time. To illustrate this idea, think about how movie directors tell their stories. Most popular movies convey the flow of a story from beginning to end. They depict how one event leads to another, and another, and so on. Yet, even though the movie is one, whole unit, it is also broken down into smaller parts called scenes. Each scene tells a portion of the larger story. In this sense, each scene represents a synchronic moment in the movie, a period of time in the film. A synchronic study of the Old Testament takes a very similar approach. In synchronic synthesis, biblical theologians concentrate their attention on particular periods of time in the Old Testament as if they were scenes in a movie rather than on the flow of its entire history. Still, it's important to realize that like scenes in a movie, synchronic approaches can focus on periods of various lengths. Sometimes biblical theologians focus on relatively brief historical moments, but other times they concern themselves with relatively long periods of time. We do the same kind of thing in ordinary life. Sometimes we speak of things as happening at the same time, even though they actually take place over a stretch of time. For example, I might say, "I had a long talk with my friend just a moment ago," referring to a long conversation as a single event. At other times, we speak of larger temporal units as if everything occurred at the same time. For example, we might summarize the activities of a whole week by saying, "I spent last week in the mountains," or even of an entire year by saying, "I went to school last year." Biblical theologians exercise the same kind of temporal flexibility when they divide Old Testament history into synchronic units. Sometimes they focus on relatively short time frames and other times they focus on longer periods of history. Now, unless we only have a split second in view, time passes in every synchronic period of history, and this passage of time introduces historical changes. Sometimes these changes are minor, but other times they can be rather significant. But no matter what changes take place, synchronic approaches to the Old Testament look at the period in question as a whole. And they concentrate primarily on the theological perspectives that are established by the end of the time in view. For instance, in the relatively short story of Abraham's sacrifice of Isaac in Genesis 22, many things happen. But biblical theologians ask, "What theological outlooks characterized this part of Abraham's life?" Biblical theologians also deal with larger periods of time, like Abraham's life in Genesis 11 through 25 — a time that spanned around 175 years. Even when such a large span of time is in view, they still ask questions like: "What theological perspectives appeared in Abraham's life as a whole?" In fact, biblical theologians sometimes treat the whole Old Testament as a synchronic unit and ask: "What did God do and say in the days of the Old Testament?" Having looked at the definition of "synchronic", we should turn to our second term, the word "synthesis." The concept of synthesis is not difficult to grasp. We use it often in daily life. Basically, it simply means combining different components of something into a whole. For instance, imagine you go to a friend's house for dinner. You eat this and that. You hear someone speak and another person respond. Someone tells a joke and the group laughs. Someone comes late, another leaves early. All kinds of things take place. Now imagine that the next day you tell a friend what happened at the dinner. It's unlikely that you would simply try to repeat everything that took place. Instead, you would synthesize, or make sense out of the entire gathering. In many respects, this is what we do when we look at the Scriptures with synchronic synthesis in mind. We describe the ways different components of theology revealed in a particular period of history fit together in a coherent, logical structure. To grasp how synchronic synthesis involves assessing the logical structure of Old Testament theology in a particular time, we'll touch on two issues. First, we'll look at a popular denial of the Old Testament's logical character; and second, we'll offer an affirmation of its logical coherence. Let's begin with a common denial of the Old Testament's logical character. In the middle of the 20th century, many critical scholars distinguished biblical theology from systematic theology by pointing out the role of logic in each discipline. It is easy to see that logic has a vital function in traditional systematic theology. But critical theologians argued that logic should not play such a major role in biblical theology. While the intricacies of these discussions go far beyond this lesson, we can still summarize their position in a helpful way. In essence, critical theologians believed that logic was a primary feature of what they called the "Greek mindset," but it was relatively foreign to the "Hebrew mindset." Based on a number of linguistic and cultural assessments, they argued that the Greeks focused on abstraction and logical order, much like systematic theology. And by contrast, they suggested that the Hebrew mindset looked at everything in terms of historical dynamics. From this point of view, the Old Testament did not focus on logical systems or on theological relationships between beliefs. And for this reason, to synthesize Old Testament theology was to misread the Hebrew Bible and to force it into a Greek framework. In distinction from this denial, an affirmation of the logical character of the Old Testament stands on at least two grounds. In the first place, recent studies have largely discredited the kinds of contrasts between Greek and Hebrew mindsets once suggested by many biblical theologians. These mindsets were different in many ways, but they were also very similar to each other. In the second place, Old Testament theology displays substantial concern for logic and rational thought. No substantial way of looking at life is free from careful logical reflection. Now, without a doubt, many things revealed in the Old Testament will remain mysterious to human beings since God's thoughts are far beyond ours. Yet, this fact does not negate the value of thinking logically about what he has revealed to us. It is not a question of if Old Testament theology involved logic; it's only a question of how it did. It's true that Old Testament theology does not employ the standards of formal western philosophical traditions that so deeply influenced traditional systematic theology. For instance, the Old Testament uses relatively few consistent technical terms; its theology is expressed in a variety of genres; different Old Testament authors emphasized different aspects of their faith; and nowhere does the Old Testament present an all-encompassing logical system of theology. Even so, God's revelations in Scripture were not random, disconnected or contradictory. As we will see later in this lesson, God's revelations not only gave his people insight into particular events but also led them toward logical, synthetic ways of understanding, behaving, and feeling about him, themselves and the rest of creation. With this basic idea of synchronic synthesis in mind, it will help to see an example of this approach in the Bible itself. As we look at the Scriptures, we find that characters and writers often divided the Old Testament into different historical periods and synthesized the theology they found there. They did this countless times, but for our purposes we'll simply point to one representative passage. Listen to what Paul wrote in Romans 5:12-14. Sin entered the world through one man, and death through sin, and in this way death came to all men, because all sinned — for before the law was given, sin was in the world. But sin is not taken into account when there is no law. Nevertheless, death reigned from the time of Adam to the time of Moses, even over those who did not sin by breaking a command, as Adam did, who was a pattern of the one to come (Romans 5:12-14). In these verses, Paul treated the time stretching from Adam's fall into sin to the giving of the law at Mount Sinai as one synchronic unit, a single period in history. His main concern in this passage was to prove how the far-reaching effects of Adam's sin foreshadowed the far-reaching effects of Christ's obedience. And to make this point, Paul synthesized several theological features of the time between Adam and Moses. In verse 12, Paul mentioned that "sin entered the world through one man and death through sin." Here, he alluded to Genesis 3:14-19, where human death resulted from human sin. Next, Paul described the period between Adam's fall and Mount Sinai as a time "before the law was given," a time when people did not have codified laws like the Ten Commandments and the Book of the Covenant. He also said that during this time people "did not sin by breaking a command, as did Adam." That is to say, they did not violate specifically formulated directives from God like Adam had in the Garden of Eden. Now, once Paul stated that there was no "law" before Mount Sinai, he had to deal with a hypothetical possibility: Maybe the people between Adam and Moses were innocent of sin. If they had no specific laws to violate, how can we be sure they were sinners? To answer this question, Paul pointed to another feature of that time: "death reigned from the time of Adam to the time of Moses." His argument was that if men and women were under the curse of death, then by logical inference they must have been sinners. In the larger context of this passage Paul also went on to say that Jesus' obedience to God solved the problem created by Adam's sin. Just as the single act of Adam's disobedience brought death to everyone joined to Adam, Christ's single act of obedience brought life to everyone joined to Christ. And for this reason, he said that Adam was "a pattern" or type of Jesus. Notice how Paul's argument worked here. First, he synchronized the time from the Fall to the giving of the Law into one period, and the time from Christ through the present into another period. Second, he synthesized each period by tying some of its different features together in a logical fashion. In short, he did the same thing that responsible biblical theologians do. And his model means that synchronic synthesis is also a legitimate practice for modern Christians. Now that we have seen what synchronic synthesis is, and shown that the New Testament legitimizes this approach, we are ready to turn to an essential step toward creating synchronic syntheses, the process of discerning historical information in the Old Testament. As we saw in the previous lesson, biblical theologians are particularly concerned with two types of historical events: divine act revelations, that is, things that God did; and divine word revelations, the things that God and his messengers said. Before biblical theologians can synthesize the theology of a period in the Old Testament, they must first gather information about the historical events — the acts and words of God that occurred at the time they have in view. These historical facts become the basic building blocks of their synchronic synthesis. Now at first glance, this might seem like a rather easy thing to do. We might think that we only need to repeat what the Bible says happened at particular times. But as we will see, gathering historical information from the Bible requires great care. The Old Testament does not come to us as a catalog of historical information. Rather, it contains narratives, poetry, law, wisdom writings, genealogies, different types of Psalms, prophetic speeches, and many other genres. All of these genres reveal information about God's acts and words, but this historical information is wrapped in each genre's literary features. And for this reason, biblical theologians have to find ways to gather historical information from each type of literature. Time will only allow us to explore this process with two major types of literature: poetry and narratives. But what we learn about these genres will alert us to the kinds of concerns that apply to other genres as well. Let's begin with the ways poetry communicates historical information. When we speak of Old Testament poetry we have in mind passages like the Psalms, some wisdom literature, much of Old Testament prophecy and smaller portions of other books as well. To discern facts about God's actions and words from these Scriptures, we have to account for how the literary features of poetry reveal historical information. To look into these matters, we will touch on two issues. First, we'll look at the two worlds that Old Testament poetry always considered. And second, we will see how concern for these two worlds affects the process of discerning historical information in poetry. Let's look first at the two worlds of Old Testament poetry. Poets of the Old Testament were interested in two different worlds that tell us about history. On the one hand, they gave attention to the world they wrote about — what we will call "that world." When writing about that world, they provided objective facts about God's acts and words. In the first place, poetry often opened windows to the past. For example, one well-known poetical passage is the song that Moses and Miriam sang at the Red Sea in Exodus 15:1-21. Moses included this poetry in the book of Exodus in part to give his readers historical information about what God had done at the Red Sea. In the second place, Old Testament poetry often provided windows to contemporary historical information from the writer's own time. For example, Psalm 1recommends meditation on the law of God. To express the importance of God's law, the psalmist drew attention to patterns of God's ongoing blessings for faithful servants and his judgments against sinners. In this sense, Psalm 1 gave its readers insight into current events of that time. In the third place, at times Old Testament poets turned their readers' attention toward the future. For instance, in Isaiah 40:1-11, Isaiah predicted a time when the exiles of Judah would return to their land. In one way or another, Old Testament poetry often conveyed information about the revelatory acts and words of God in the past, present and future. Old Testament poets also focused on the world of their readers, which we will call "their world." They focused on their world by designing their texts to influence the lives of their original readers in particular ways. For example, the song of Moses and Miriam in Exodus 15 encouraged Moses' early readers to move forward with confidence toward the Promised Land. Psalm 1 was written to inspire constant meditation on God's law. And the predictions of Isaiah 40 were designed to encourage those facing exile to maintain hope for a glorious return to the Promised Land. Old Testament poets drew their original readers' attention to "that world" of God's act and word revelations in order to speak to "their world," the times in which their early readers lived. Now we should explore how the two worlds of Old Testament poetry affect the ways we can discern historical information from these portions of the Bible. We can be confident that what Old Testament poets told their readers about the past, present and future was true. They were inspired by God who only speaks truth. But they often described history in ways that were something other than straightforward. And for this reason, to know what poets actually intended to communicate about objective historical facts, we have to understand the literary conventions of Old Testament poetry. There are many ways to describe the literary conventions of Old Testament poetry, but for our purposes we will note just four prominent features. First, poetical passages employ unusual vocabulary and syntax designed to make readers ponder what is written. Second, Old Testament poets used many figures of speech such as metaphors, similes, analogies, and hyperboles to describe historical realities indirectly. Third, poets expressed their own imaginative reflections to incite compelling imaginative sensory experiences in their readers. Fourth, they conveyed their own emotions to stir emotional reactions in their readers. These characteristics appear to some extent in other biblical genres as well, but they were concentrated, central features in Old Testament poetry. it consumed them like stubble (Exodus 15:6-7). As we have seen, in this passage Moses referred to the historical event of Israel's crossing of the Red Sea. Yet, these verses do not give a wooden description of what God did. For example, God's right hand was not actually visible at the Red Sea, even though Moses said that God's "right hand shattered the enemy." And the Egyptians were not burned by fire, even though God's "burning anger … consumed them like stubble." Instead, the narrative account in Exodus tells us that God sent a mighty east wind that separated the waters of the sea allowing the Israelites to pass on dry land. Then God drowned the pursuing Egyptian army by causing the waters to return as the Egyptians crossed. So, why did Moses speak of God's right hand, and of his burning anger consuming the Egyptians like stubble? Moses relied on the common Old Testament metaphor of God's right hand to characterize this event as God's mighty attack against his enemies. He employed an exaggerated simile likening the Egyptians' condition to burned stubble; not to reveal the means of their destruction, but to reveal how thoroughly and horribly they were destroyed. Moses also wanted to incite imaginative experiences of the event in the minds and hearts of his readers. He expressed his own enthusiastic praise for God and he inspired others to do the same. Moses intended his poetry to be taken as a true record of the event, but he never meant it to be read as a literal, wooden description. When we acknowledge the poetical features of Exodus 15:6-7, we can discern its historical information with relative ease. We might summarize these verses in a variety of ways depending on the aspect of the text that is our focus. For example if we were to focus on the way it uses figures of speech to relate historical data, we might summarize it in this way: "God set Israel free by miraculously destroying the Egyptian army in the Red Sea." This example makes it clear that we must approach Old Testament poetry with care. We must not read it the same way we read prose. Instead, we must distill historical information by recognizing poetry's unusual vocabulary and syntax, its figures of speech, its imaginative concerns and its emotional impacts. Only then can we derive more realistic understandings of God's acts and words that contribute to our synchronic syntheses of Old Testament theology. Now that we have touched on some of the ways we can discern historical information in poetry, we should turn to the genre of Old Testament narrative. We are all familiar with Old Testament narratives. Books like Genesis, Exodus and many others are comprised largely of narratives; true stories about historical people, places and events. Biblical theologians often draw heavily from narratives because their stories reveal many details about history. They report words and speeches, names of characters, places where events occurred, and various historical connections. These and other features make narratives rich resources for synchronic synthesis. But discerning historical information requires careful interpretation even of narratives. We will look at narratives in the same way we discussed poetry. First, we'll see that narratives were also designed to provide information about two worlds. And second, we'll examine how to discern historical information in this genre. Let's look first at the ways these portions of the Bible record historical information about two worlds. Much like poets, the authors of narratives also stood between two worlds. On the one side, they wrote about the world that was the subject of their text, or "that world." Unlike poetry, however, narratives largely focus on the past, and only rarely mention the present or the future. For instance, Moses wrote about the primeval and patriarchal history in the book of Genesis, even though he lived much later in history. Old Testament authors often wrote about times that preceded the days in which they lived by hundreds of years. On the other side, authors of narratives also dealt with "their world," the world in which their readers lived. They wanted their readers to think, act and feel in certain ways within their own worlds in the light of past events. So as Moses wrote about the primeval and patriarchal periods, he described those ancient days in ways that taught his Israelite readers about their own privileges and responsibilities. All authors of Old Testament narratives wrote about the past for the sake of their readers living in later times. Old Testament narratives were designed to have many different influences. They were doxological, leading readers to praise and worship God. They were theological, explaining truths about God. Some were political, focusing on current national events as well as polemical, opposing false teachings. They were moral, explaining how God's people should live. They were motivational, encouraging every kind of faithful response. In short, Old Testament narratives were didactic. They were designed to teach early readers about their lives. Now, in the narrative genre most of this didactic purpose was implicit; authors expected their readers to infer theological principles from their stories. Even so, this didactic aspect was very intentional. Authors always wrote in order to teach their readers about their own lives. With these two worlds in mind, we should turn to the ways we can discern historical information from Old Testament narratives. Unfortunately, modern evangelicals often make the mistake of expecting Old Testament narratives to be like modern journalistic historical writings. Since the 17th century Enlightenment in Europe, many historians have sought to apply the standards of scientific rigor to written historical accounts. In this view, historians must seek to be as exacting as their counterparts in sciences like chemistry and biology. 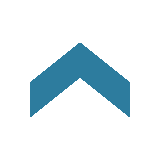 There are many ways to summarize these rigorous standards, but we may say that in this outlook, trustworthy historical accounts must be comprehensive, precise and objective. That is to say, true historical records will include every significant fact about a situation to give a balanced account. They will report details with exacting precision, or will at least acknowledge that they haven't. And they will avoid all subjective evaluations that may prejudice readers. Now we can understand why these modern ideals developed. After all, it's far too easy to confuse fact with fiction when historians do not reach for these standards to some extent. Yet, the authors of Old Testament narratives did not completely follow these modern ideals. Now, they did not propagate religious fantasies. Nor did they present historical errors or fabrications as fact. But they did write in ways that were determined largely by their didactic purposes, and not by our modern sensibilities. To see how this is true, let's look briefly at the three modern standards that are often mistakenly applied to Old Testament narratives, beginning with the idea that historical accounts should be comprehensive. Simply put, Old Testament stories were only as comprehensive as suited the didactic purposes of their writers. They did not include every significant fact. Consider an example from the book of Chronicles. When the writer of Chronicles composed his history of Solomon's life in 2 Chronicles 1–9, he followed the record of 1 Kings 1–11 fairly closely. But he omitted every negative dimension of Solomon's reign. He omitted references to Solomon's marriage to Pharaoh's daughter and other foreign women, his creation of worship centers for their gods at the temple, and the severe prophetic condemnation Solomon received. By practically any measure, these negative events were highly significant. After all, according to 1 Kings 11:11-13, Solomon's failures led to the division of the nation. But the Chronicler determined not to include them because of his didactic purposes. To be sure, many of his readers already knew this information, but the Chronicler wanted them to concentrate on Solomon's positive accomplishments. And as a result, he focused his account on Solomon's successes. Old Testament authors felt no compulsion to include every significant fact. They did not meet the modern criterion of comprehensiveness in good history writing. Nevertheless, their narratives are true and authoritative records of the past. So God made the expanse and separated the water under the expanse from the water above it (Genesis 1:7). Here Moses wrote that God placed "the expanse" in the sky, using the Hebrew word raqia. The term raqia meant some sort of flattened solid material. As this passage tells us, this solid material separated "the water under the expanse from the water above it." As modern people we know that Moses' description of earth's atmosphere is scientifically imprecise. Moses spoke this way because the sky appeared to him and to many others to be like a ceiling or tent of blue crystal or lapis lazuli. It was commonly held that rain resulted from the blue waters above pouring through holes or chimneys in this solid ceiling. Of course, the omniscient God of Scripture could have revealed to Moses a more scientifically precise understanding of earth's atmosphere if had he wanted to. But this was not what the Holy Spirit wanted his people to learn. Moses did not misrepresent the true condition of nature. But he did speak of it imprecisely as it appeared to him. Knowing this, we have to be careful not to over-estimate the level of precision Moses intended to reach in Genesis 1:7. We would be mistaken to conclude that it was a historical fact that "God put a solid barrier in the sky" or that "God placed waters above and below a solid barrier." Instead, our assessment of this historical record must acknowledge Moses' imprecision and focus on his didactic purpose. For instance, we may rightly say from Genesis 1:7 that "God ordered the sky;" that "God established the sky to make earth habitable;" and that "God ordered the sky in a way that was good." Responsible interpretation must acknowledge the fact that Moses and other biblical authors spoke of historical facts with only enough precision to meet their didactic goals. I will establish the throne of your kingdom over Israel forever, just as I spoke to David your father saying, "A man of yours will not be cut off from the throne of Israel" (1 Kings 9:5, literal). I will establish the throne of your kingdom just as I covenanted with David your father saying, "A man of yours will rule over Israel" (2 Chronicles 7:18, literal). Now, the larger contexts of these two verses make it clear that they refer to the same historical event, but the wording is not precisely the same. In 1 Kings, God "spoke to David," but in 2 Chronicles, he "covenanted with David". And in 1 Kings, God said, "A man of yours will not be cut off from the throne of Israel," while in 2 Chronicles, he said, "A man of yours will rule over Israel." Some of these differences may be the results of errors in textual transmission, but not all of them. Rather, they reflect the fact that Old Testament narratives were not designed to repeat words and thoughts of God or anyone else with absolute precision. In reality, neither the writer of Kings nor the author of Chronicles intended to be utterly precise. What they wrote was historically true. They did not misrepresent what God said. But their levels of precision were determined by their didactic goals, not by modern notions of precise record-keeping. Responsible interpretation distills what God said with levels of precision that match the biblical records. We can be confident that "God said he would establish David's dynasty" and that "God promised to uphold his covenant with David." And that "a descendant of David will always rule over Israel." But seeking much more precision than this would be misguided.  As we explore the genre of narrative in synchronic synthesis, we face many different kinds of imprecision. Numbers of people, measurements, geographical references and the like often do not meet modern scientific standards. But this lack of modern precision does not mean the accounts are untrue. On the contrary, we can be confident that Old Testament stories tell us the truth about history. Yet, we must always be careful not to overestimate their precision. Finally, let's consider the fact that Old Testament narratives are not objective by modern standards. It's common in our day to think that reliable historical writers remain objective in their reporting, never allowing their presentations of history to reflect their personal opinions or evaluations of events. But we must always remember that objectivity is a matter of degree. As long as historical records have been kept, there have always been historians who allowed their subjective opinions to skew their writing to the point that they actually misrepresented history. But even the most objective historians had biases that they could not escape. At the very least, these biases influenced which events they reported and how they described them. In this sense, we know that historical writings have never been entirely objective. Now the men of Sodom were wicked and were sinning greatly against the Lord (Genesis 13:13). We should not shy away from Moses' evaluation of Sodom. He gave his opinion on the city, but his moral outlook was inspired by God and therefore correct. We should feel free to say things like, "Lot turned from God to associate with wicked men," or, "The city of Sodom was full of wicked people." These statements represent objective truths about the historical conditions of that day. In summary, we can say with confidence that Old Testament narratives were not designed to meet modern standards of history writing. They only present fully reliable historical information that will enable us to construct synchronic syntheses of Old Testament theology. Having seen some of the ways we can discern historical information in the Old Testament, we can now give attention to our final topic: synthetic theological structures. In this portion of our lesson, we'll focus on the ways God's revelations in different periods of Old Testament history formed synthetic, logically coherent theological structures. When we speak of synthetic theological structures, we mean that divine revelations fit together so that they form coherent or logical perspectives on theological issues. Now, this is not to say that human beings ever comprehensively understand the logical connections among all the things that God revealed. It is rather that God's revelations were not isolated from each other, nor were they logically incompatible with each other. When viewed properly, they form logical patterns of belief or what we are calling synthetic, theological structures. We will look at this subject in two main ways. First, we will touch on the variety of sources from which we must draw to discern these synthetic theological structures in the Old Testament. And second, we will see that these theological structures appear on a variety of levels. Let's consider first the different sources we must keep in mind. As we explore the variety of sources from which we discern theological structures, we'll first consider biblical revelations, and second we'll look at extra-biblical revelations. Whenever we interpret any Scripture, we must be ready to use every resource available. But it helps to think in terms of these two basic categories of resources. Let's turn first to biblical revelations that show us theological structures. The Scriptures are a central concern when we discern theological structures in any period of Old Testament history. But one question that often arises is this: "To which portions of Scripture should we look?" For the sake of discussion, we'll divide this question into three types of biblical passages as they relate to a period of time in view: first, synchronic passages — portions of Scripture that deal with the historical period under consideration; second, antecedent passages — portions of the Bible that deal with history prior to the period in view; and third, subsequent passages — portions of Scripture that deal with revelation from later periods of time. Consider first how synchronic biblical passages help us discern theological structures. When we speak of synchronic passages in this context, we do not mean passages that were written at the same time, but passages that describe the same period of time. On occasion, information about the theology of a period appears in only one passage of Scripture. But most of the time, periods of Old Testament history are described in more than just one place. When this is the case, we need to combine all the information Scripture provides. Since we believe that the Scriptures are inspired by God, we affirm the harmony of all its parts. We hold that every biblical comment on the history and theology of a period is true and fits coherently with everything else we know about that period. Biblical authors do not contradict each other; rather, they complement each other harmoniously. So, we must not limit ourselves to just one passage; we must be ready to draw from many synchronic portions of the Bible to determine what God did and said in particular historical periods. In addition to synchronic passages, there are many times when we must also draw from antecedent sections of the Bible. Here we're not thinking about portions of the Bible that were written before others, but passages that focus on earlier periods of Old Testament history. What God did and said at earlier times often sheds light on the theological structures of later times. For example, in Genesis 12:1-3 God offered Abraham innumerable descendants and the inheritance of the Promised Land. These words from God appear over and over in the chapters of Genesis devoted to Abraham's life, and they are critical to understanding the theological structures of his lifetime. Yet, there is no explicit explanation of their prominence during Abraham's life. This issue can be answered best by biblical passages dealing with antecedent or earlier periods of time. For instance, in Genesis 1:28 God commanded his images, Adam and Eve, to multiply and have dominion over the entire earth. This numerical and geographical expansion of God's image over the earth has always been essential to God's purposes for the human race. Later, when Moses wrote about Abraham, he built on this earlier theological structure. Simply put, God focused on Abraham's descendants and land because he had chosen Abraham and his descendants to carry on Adam's original commission. The multiplication of Abraham's descendants and their possession of the Promised Land would be the starting point for the eventual dominion of humanity over the entire world. Time and again we find that Old Testament records do not explain many theological viewpoints because they depended on what God had already revealed in earlier periods of time. For this reason, we must always make ourselves aware of antecedent revelations as we study the theological structures of a particular portion of history. May his name endure forever; may it continue as long as the sun. All nations will be blessed through him, and they will call him blessed (Psalm 72:17). Psalm 72 was written in the days of Solomon, about a thousand years after the time of Abraham. And when it speaks of the one whose name may "endure forever," it is referring to the great son of David, the Messiah who will conquer, rule over and receive the treasures of all nations. This verse is a subsequent revelation to Genesis 12 because it refers to royal themes that were true of Solomon's later historical period. But it also tells us something about the theological structures during Abraham's day. Specifically, it alludes to God's earlier offer to Abraham when it says that "all nations will be blessed through him, and they will all call him blessed." But what does it tell us about the way that God's offer to Abraham would be fulfilled? The surrounding verses of Psalm 72 indicate that the blessings of Abraham would spread to the world through warfare. As the Messiah defeated wicked nations and protected the righteous among the nations, those who stood with Abraham's royal descendant would be blessed, and those who opposed him would be cursed. And ultimately, all the families of the earth would be blessed through this process. This insight is confirmed by the fact that so many stories about Abraham report the patriarch's positive and negative interactions with other groups of people. God revealed to Abraham that his blessing to all nations would come through a process of conflict in which God would bless some and destroy others. As this example illustrates, earlier theological structures were often not mentioned or were left obscure until later revelation clarified them. In these cases, subsequent biblical revelation can help us grasp the theological structures of earlier periods. And so we can see that we must be ready to draw from all chronological types of biblical revelation to gain a greater understanding of the theological structures of a particular period of Old Testament history. Now we should turn to a second major source that enables us to see the theological structures that characterized periods of the Old Testament: extra-biblical revelation, God's revelation outside of Scripture. As we seek to understand the theological structures of a period in the Old Testament, it's important to remember that no biblical passage was written in a theological vacuum. Old Testament authors wrote their texts within a context of beliefs and theological structures that they shared with their characters as well as their readers. God has disclosed these theological frameworks through two kinds of extra-biblical revelation. First, he disclosed them through general revelation, the revelation of God in all things; and second, he gave them through special revelations not found in Scripture. Both the Old Testament and New Testament teach that from the very beginning, every person has learned at least some true theology through general revelation. Passages like Psalm 19 and Romans 1:18-21 indicate that God has clearly revealed his nature, his moral requirements and the consequences of sin to all people through all of creation. We can summarize the matter this way: despite the fact that sinful people often suppress what they know from general revelation, at some level they still understand enough true theology to make them responsible to comprehend God's special revelations. Because of the reality of general revelation, Old Testament authors always assumed that historical characters in their stories and later readers of their stories all shared many true theological perspectives with them as the authors. They felt no need to explain certain things explicitly because many basic theological structures were already in place. Consider just one passage that is often misconstrued by modern theologians because they forget about general revelation. "Do not lay a hand on the boy," he said. "Do not do anything to him. Now I know that you fear God, because you have not withheld from me your son, your only son" (Genesis 22:12). Unfortunately, this passage is often misconstrued by contemporary theologians. Because the angel said, "Now I know that you fear God," a number of interpreters have suggested that Abraham believed that God did not know what he would do before this moment in the story. In other words, they hold that the theology during this period did not include belief in the omniscience of God. But the biblical testimony concerning general revelation indicates quite the contrary. In Romans 1:20 Paul stated that all people know God's "invisible qualities," like his omniscience. Now of course, sinful people suppress this knowledge, and can misconstrue God's words to Abraham. But general revelation makes it clear that Moses' record of this moment in Abraham's life does not suggest that God was limited in his knowledge. Time and again, general revelation is assumed by biblical writers. When Gentiles received messages from Israel's prophets, like Jonah and Daniel, they did not form their theological outlooks solely on the basis of the few things these prophets said explicitly. God's messengers spoke to these pagans with the confidence that they understood much about the true God of heaven and earth through general revelation. As we seek to grasp the theological structures that characterized the period of Old Testament history, we must always remember that there is much that remained unwritten because biblical authors assumed general revelation. In addition to general revelation, a second extra-biblical source helps us understand the theological structures of a period in Old Testament history: extra-biblical special revelation. You shall take with you of every clean animal by sevens, a male and his female; and of the animals that are not clean two, a male and his female (Genesis 7:2, NASB). In this passage, God commanded Noah to distinguish between clean and unclean animals when he took them onto the ark. But nowhere in Scripture do we have a record of God revealing to Noah which animals were clean and unclean. The best conclusion to draw is that God specially revealed to Noah or to some other person before him the distinctions between clean and unclean animals. As we explore the theological structures that characterized a period of Old Testament history, we also need to be aware of indications that God might have given other special revelations of which we have no record. When we pay attention to these kinds of extra-biblical revelations, we are able to grasp more fully the coherent, synthetic structures of the historical period that we have in view. Having seen some of the many sources that help us grasp theological structures of a period in the Old Testament, we should now turn to the different levels of theological structures we encounter. As we look for the synthetic, logical arrangements of Old Testament theology in particular periods of history, it soon becomes apparent that various levels of theological structures appear. They include a broad spectrum ranging from very simple structures to very elaborate structures. To see how this is so, we'll look at three general levels of theological structures. First, we'll give attention to "basic-level" synthetic theological structures; second, we'll look at an example of "middle-level" synthetic theological structures. And third, we'll explore relatively "complex" synthetic theological structures. Let's turn our attention first to some of the basic logical arrangements that characterized the theology revealed in periods of Old Testament history. The most basic theological structures appear in the logical connections and implications among specific acts and words of God. To see what we mean, we'll look at two issues. First, we'll explore some of the ways divine act and word revelations logically intersect. And second, we'll illustrate what we have in mind with a particular passage. Let's think first about the kinds of logical intersections that exist among divine actions and words. There are many ways God's specific revelations relate to each other. In the first place, God's acts often intersect with his words. As we saw in our previous lesson, God's words often preceded his actions in the form of predictions. At other times, God's words occurred nearly simultaneously with his actions and explained what he was doing. And at still other times, his words came after his acts and reflected on the significance of what God had done in the past. At the same time, God's actions also shed light on his words. For instance, when God acted before he spoke, his actions often anticipated what he would say by preparing for his word to come. When God acted nearly simultaneously with his words, his actions often illuminated the meaning of his explanatory words. And of course, when God acted after he had spoken, he often did so to fulfill his previous words. But in addition to this, basic theological structures appear in the ways God's actions logically intersect with his other actions. In these cases, logical coherence comes into view in a number of ways. To name just a few possibilities: sometimes one act of God was simply added to, or combined with another act; at other times, one thing that God did foreshadowed another action that he performed; acts of God prepared the setting for additional acts; and at times divine actions caused other acts to occur. And beyond this, basic theological structures also appear as we see how God's word revelations logically intersect with other word revelations. Once again, the possible associations are innumerable. To name just a few, one word may simply have been added to another, one word may have been the logical basis for another, or one word may have explained another. The various ways God's acts and words related to each other establish many logical arrangements. The intersections of God's specific actions and words formed countless, intricate webs of logical implications. These implications formed synthetic theological structures or coherent theological perspectives that God established at particular times in Old Testament history. With this general idea in mind, it will help to illustrate how intersections of divine acts and words form coherent theological structures in a particular passage. Consider, for instance, a portion of the story of Eve's creation in Genesis 2:15-22. There we read these familiar words. The Lord God took the man and put him in the Garden of Eden to work it and take care of it… The Lord God said, "It is not good for the man to be alone. I will make a helper suitable for him." Now the Lord God had formed out of the ground all the beasts of the field and all the birds of the air. He brought them to the man to see what he would name them; and whatever the man called each living creature, that was its name... But for Adam no suitable helper was found. So the Lord God caused the man to fall into a deep sleep; and while he was sleeping, he took one of the man's ribs and closed up the place with flesh. Then the Lord God made a woman from the rib he had taken out of the man, and he brought her to the man (Genesis 2:15-22). Consider first some of the logical intersections between God's actions and words. The passage begins in verse 15 with God putting the man in the garden to take care of it. This act intersected with God's word in the first half of verse 18 when God said, "It is not good for the man to be alone." At first blush, we might have thought that Adam's life in the Garden of Eden was grand, but God's word reflected on his previous action and noted that Adam's isolated existence was not good. In a similar way, we also see that the words of the second half of verse 18, "I will make a helper suitable for him," predicted God's action of fulfillment in making the woman in verse 22. These logical connections between God's acts and words reveal a simple theological structure, a coherent set of beliefs that grew out of this period in history. God created human beings to tend his garden, but this task required both males and females. God's various actions in this story also intersected with each other in ways that revealed synthetic theological structures. God had already formed animals in preparation for Adam to exercise authority by naming them in verse 19. Verse 20 tells us that Adam did not find a helper among the animals and this partly explained the purpose of Adam's interaction with the animals. These acts of God revealed a simple theological perspective, a logical way of looking at these things. God ordained men to rule over the animals, not to find their suitable helpers among them. Finally, we can also see a logical intersection between two revelatory words in verse 18. On the one hand, God said, "It is not good for the man to be alone." This statement is the reason for God then saying, "I will make a suitable helper for him." This logical connection reveals the coherent theological point of view that God's resolution for man's unacceptable solitary existence was the creation of a suitable helper. This simple example illustrates what we encounter time and again in the Old Testament. Synthetic theological structures, coherent theological perspectives, are revealed through the intersections of divine acts and words. Now we should turn to middle-level theological structures that characterized periods of Old Testament history. The significance of specific acts and words of God often becomes clearer when we give attention to synthetic theological structures that are of a middle or moderate complexity. As we just saw, single acts and words of God did not occur in isolation from each other. And the same was true of sets of his actions and words. They fit within other, more complex theological structures that characterized the period of history that we have in view. There are many kinds of middle-level synthetic structures, but for our purposes we will focus on just one: divine covenants. First, we'll sketch the logical dynamics of covenants, and then we'll illustrate how this logical structure helps us grasp the theology of a period of history. Consider first the logical dynamics of covenants. It has long been recognized that the faith of Old Testament Israel was covenantal. The concept of covenant permeates the Scriptures. Although there are many things we might say about covenants, we'll simply look at one aspect of divine covenants in the Old Testament: how they help us understand the coherence of particular divine revelations. Although each covenant in the Old Testament had unique features, they all exhibited a logical way of understanding three main elements: divine benevolence, human loyalty and the consequences of blessings for obedience and curses for disobedience. The relationship between God and human beings was always governed by logical connections among these three elements. God showed benevolence in the ways he brought people into relationship with him and sustained them in that relationship. But in response, human beings were expected to show loyalty to God by keeping his commands. Additionally, each covenant in the Old Testament established consequences: blessings that would come to those who were obedient to the commands of God, and curses that would come to those who were disobedient. It's very important to realize that every moment of Old Testament history was governed by these logical covenant structures. They formed, as it were, a template that helps us see the underlying organization of all of God's act and word revelations. At times, God's revelations demonstrated his covenantal benevolence, his kindness toward people. Other divine acts and words expressed God's expectation of human loyalty, the ways human beings were to respond to his benevolences. And divine revelations often drew attention to the consequences of blessings and curses as well. Our awareness of the structure of theology at any moment in the Old Testament rests to a large extent on the ways each feature of divine revelation fit within these covenantal structures. To illustrate how this middle-level synthetic structure works, let's look further at the example of Eve's creation in Genesis 2. Now, as we know, Genesis 2 took place during the time of God's initial covenant with Adam. We will discuss the uniqueness of this covenant in our next lesson. At this point, however, we simply want to note some obvious ways the logical structures of divine benevolence, human loyalty, and the consequences of blessings and curses appear in this passage. In the first place, God displayed amazing benevolence toward Adam when he first put Adam in his garden in Genesis 2:8. But notice also that God gave Adam the responsibility of loyalty. Adam was "to work ... and take care of" the garden. The covenant structures lying behind this verse are evident. God was kind to Adam, and in response Adam was to work and take care of the garden in loyal service to God. In the second place, in verse 18 God showed more benevolence toward Adam when he acknowledged Adam's condition and said he would give Adam a suitable helper. Then in verses 19 and 20, Adam began to fulfill his responsibility of loyalty by naming the animals, and he rightly saw that no animal was suitable for him. In the third place, in verses 21 and 22, we see the consequence of Adam's faithfulness in naming the animals and finding no suitable helper among the animals: God blessed Adam with the gift of Eve, his suitable helper. In this passage, there is no explicit threat of consequences of divine curses, but had Adam failed to fulfill his responsibility, we have every reason to believe that God would not have blessed him in these ways. This simple example illustrates how middle-level synthetic structures like covenants help us make sense of God's particular act and word revelations. With these levels of synthetic structures in mind, we should turn our attention to complex-level synthetic structures. When we speak of complex theological structures, we have in mind frameworks or systems of theology that are so far-reaching that they incorporate many basic and middle-level structures, and then combine them with other ideas as well. There are many complex theological systems in Old Testament theology, but we will focus our attention on one of the most prominent: what we will call the theology of the kingdom of God. There is much we could say about this topic, but in this lesson, it will suffice for us simply to summarize the doctrine of the kingdom of God, and then to look at an example of how it helps us to see the theological structures of a segment of Old Testament history. The doctrine of God's kingdom refers to God's all-encompassing plan for his creation. From Genesis to Revelation, we find that history is moving immutably toward the goal of God receiving honor and praise from all creatures by establishing his glorious reign on earth as it is now in heaven. All of Scripture makes it clear that God ordained his image, human beings, to serve this end by preparing the earth for his glorious kingdom. And God blessed them and said to them, "Be fruitful and increase in number; fill the earth and subdue it. Rule over the fish of the sea and the birds of the air and over every living creature that moves on the ground" (Genesis 1:28). After the fall into sin, human beings needed to be redeemed and empowered by God in order to carry out this task. Nevertheless, those whom God redeemed from sin were still called to expand God's kingdom by spreading his redemption and rule everywhere. One of the seven angels who had the seven bowls full of the seven last plagues came and said to me, "Come, I will show you the bride, the wife of the Lamb." And he carried me away in the Spirit to a mountain great and high, and showed me the Holy City, Jerusalem, coming down out of heaven from God. It shone with the glory of God … I did not see a temple in the city, because the Lord God Almighty and the Lamb are its temple. The city does not need the sun or the moon to shine on it, for the glory of God gives it light, and the Lamb is its lamp (Revelation 21:9-11, 22-23). Prior to this consummation of all things in the glorious return of Christ, God has called his redeemed people to take up the cause of spreading his kingdom. Every stride that Old Testament believers made toward this end was in service to God's great kingdom plan. This biblical vision of God's kingdom coming to earth forms an all-embracing synthetic theological structure that helps us understand God's revelations in history. His kingdom plan lies in the background of everything he ever did and said in the Old Testament. God will be glorified by his image extending his reign to all the earth. This synthetic theological structure helps us understand the logical organization of all divine revelation in the Old Testament. To see how this complex theological organization helps us understand particular portions of Old Testament history more clearly, consider once again the example of Eve's creation in Genesis 2. We have seen that God did and said many things that logically intersected in a variety of ways. We have also seen that the logical arrangement of covenant dynamics draws attention to the fact that God showed much benevolence to Adam, that he called Adam to loyalty, that Adam fulfilled some of his responsibilities, and that Adam was blessed when God created Eve as his suitable partner. But as helpful as it is to see these theological structures, we are still left with an important question. Why did God do these things? What was his ultimate purpose? The answer to these questions is found in the theology of God's kingdom. As we have said, at the very beginning in Genesis 1, God gave a special role to humanity in his world. As his image, humanity was called to be the righteous instrument by which God's paradise or kingdom would spread throughout the world. But Adam could not fulfill his kingdom mission by himself. A solitary man could not multiply and take dominion over the whole earth. So, God blessed Adam further with a suitable helper who would enable him to fulfill his role in God's kingdom. With Eve at Adam's side, the image of God would be able to multiply, and to move forward in great numbers to prepare the earth for God's glorious reign. When we view the creation of Eve against the backdrop of this complex theological structure, we can see that her creation was an important step toward turning the whole world into the kingdom of God. So we see that periods of Old Testament history reflect synthetic theological structures on many levels. On a basic level, we notice how acts and words of God intersect with each other. As we enlarge our view to the middle range of structures like divine covenants, we can see how sets of God's revelations fit within the logic of larger theological arrangements. And as we apply even larger synthetic structures, like the kingdom of God, we find that the coherence of divine revelation becomes even clearer. In this lesson we've explored how biblical theologians form synchronic syntheses of Old Testament theology. We noted that synchronic synthesis is the description of God's act and word revelations during particular times in Old Testament history. We also looked at the ways historical information can be acquired from different genres in the Old Testament. And we saw how to discern the synthetic theological structures of God's revelation on a variety of levels during a period of history. Forming synchronic syntheses of Old Testament theology is a vital dimension of biblical theology. As we understand what God revealed through his acts and words during particular periods of Old Testament history, we will be better prepared to explore how theology developed through the entire Bible.